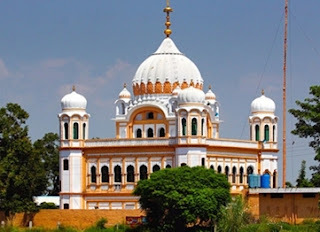 With the blessings of Guru Baba Nanak, international movement for Kartarpur sahib Corridor is completing 17 years on Vasakhi the April 14, 2018. It was on this day that about 2000 Sikhs marched to border to have darshan of Kartarpur sahib the last abode of Guru Nanak in Pakistan. The Sikhs were stopped at border by Indian border police the BSF at border. They stood in silence and did prayers to almightly God to bestow good sense to Govt of India so that it accepts the Corridor proposal and thus peace prevails in this region. Since then Sikhs are doing prayers on border for Corridor. Please note Pakistan in whose territory Kartarpur is located, has agreed to give corridor. Punjab Legislative Assembly has also unanimously approved Corridor proposal. Unfortunately all these years the Govt of India has maintained silence on this pious demand. Some people suspect that this discriminative attitude of the Govt because it is jealous of the Sikhism because when it is the question of a Hindu temple the Govt demands similar corridor from its worst enemy like China. (As in the case of Kailash Temple in Tibet China).